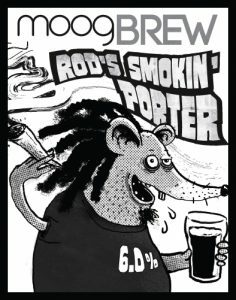 A robust porter with subtle yet distinctive herbal smokiness. “It’s herbal and smoky, dude.” Says Rod. And in his eyes, there ain’t no porter more perfect than that. “Drop a few mellow tunes and imagine you’re in Babylon.” Or maybe in Basingstoke where the sun she do shine. Smokin’.